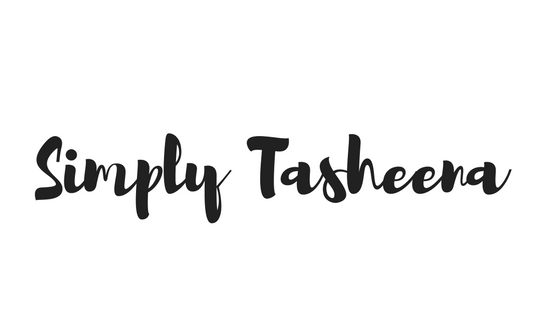 I was graciously provided with the opportunity to review some of TRUE cosmetics Products. Upon arrival, I was pleasantly surprised of the care they took in packaging the products. I also love how Chic but, elegant the packaging is. During my wash day routine. I was simply amazed at the quality everything. Seeing how this month I celebrated my ten year anniversary of having my Cosmetology license. It feels as if I've tried/used every shampoo and conditioner in the world and trust me. They're all not the same. I absolutely love how clean my hair felt after washing it the with b.t.x. shampoo. The consistency of the shampoo made shampooing a breeze. Plus, the scent of the shampoo made it really feel like a spa experience. I was really eager to try the b.t.x Mask. The reconstructive conditioning mask was everything I dreamed of and more. A little product went a long way. My hair felt so moisturized after using the mask. I didn't feel that yucky feeling of the product just sitting on my hair. I really love how the mask only requires 2-3 minutes. As a busy mom time is of the essences so I defiantly appreciate that. The b.t.x. conditioner was really pleasant to use, it has the same scent as the shampoo, and feels so lightweight. (But not runny like water.) It's actually the perfect consistency. A little of the conditioner goes a long way as well. The 8oz bottles are the perfect size you can easily open/close and hold them. This feature plays a major role when you're washing your hair in the shower. Small design elements like this really do matter. The b.t.x. oil is amazing. With so many benefits that Argan has such as being proven to make hair softer, shinier, and silkier. Plus tame frizzy hair. The Argan oil leave in treatment exceeded my expectations it's like having liquid gold in a bottle. I love how it's not greasy and gives my hair the perfect shine. I also love how the scents of the products were not overbearing. You know, when you can smell someone's hair a mile away. Overall, The TRUE cosmetics line, is a line that I would recommend to my friends and family. The quality of their products are amazing. 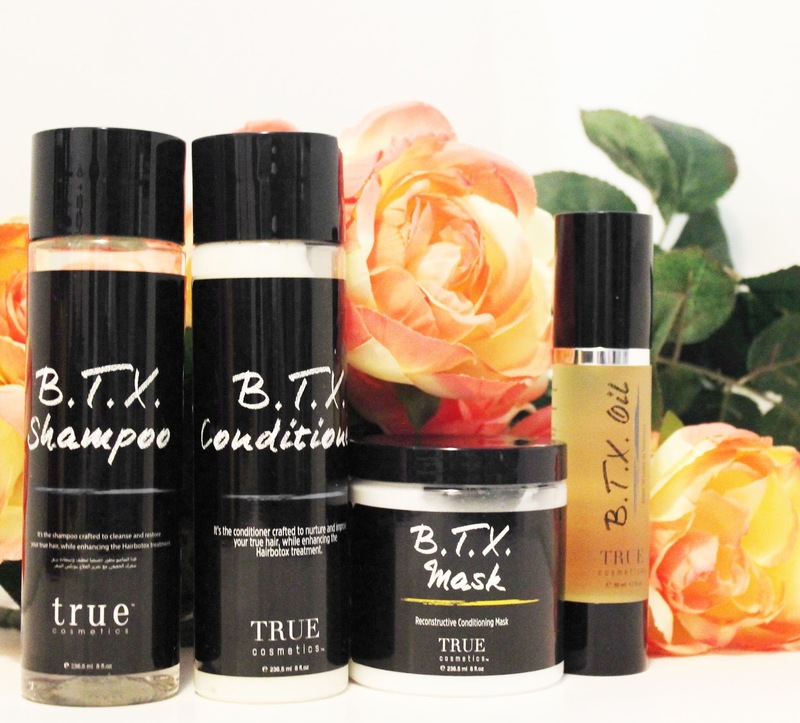 TRUE cosmetics defiantly set the bar high in the hair industry. 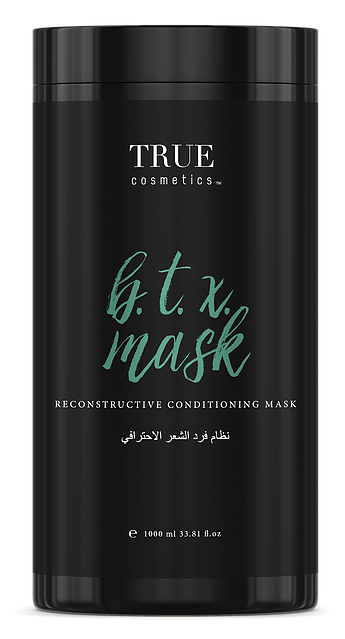 For additional information about TRUE cosmetics or to purchase your own, visit them online at http://www.mytruecosmetics.com/. You can also find them on Instagram and Facebook. 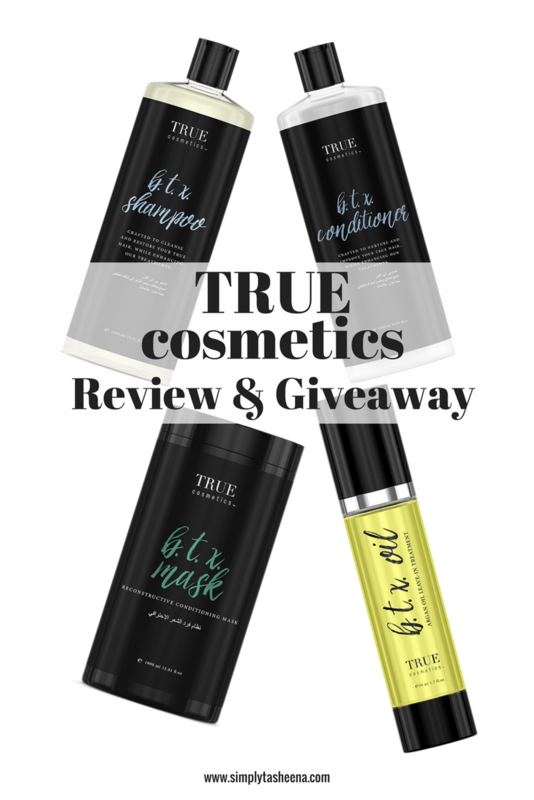 TRUE cosmetics is graciously giving away the items mentioned above to one of my Wonderful readers. Thanks so much TRUE cosmetics. Please use the Rafflecopter form for ALL Entries. This giveaway is open to US & Canada Residents only, age 18 or over. This giveaway will close on October 21, 2016 at 12:00 am EST Time. The Shampoo. Thank you for the chance. I want to try the The b.t.x. oil! I have dry hair. I love shiney hair! love to try your hair mask! I'm most looking forward to trying the b.t.x. oil. I would really like to try the shampoo first. I would love to try the conditioner with the damage that the sun has done all summer this would be perfect! I am looking forward to trying the mask the most. I am looking forward to trying the mask !!! I would like to try the b.t.x. oil. My hair is lacking shine right now. With winter just around the corner my hair tends to take a beating from the weather. I'd like to try the oil the most. Love to try the b.t.x. oil! Thank you for the awesome giveaway! Kimberley Hamilton: I would love to try the hair oil! I'm looking forward to trying the b.t.x. oil. i really want to try the conditioning mask! I am looking forward to the b.t.x. oil the most. I would love to try the shampoo! I am most looking forward to trying the mask. I love the idea of a mask for extra moisture. All the products sound awesome though. kristiedonelson(at)gmail(dot)com Thank you. I like the shampoo and conditioner. The shampoo, thanks for the giveaway! I really want to try the hair mask! Im very excited to try the hair mask. These products looks so awesome! I'm looking forward to trying the shampoo and conditioner, I love a good product. I am very excited about the mask! I have hair down to my waist and I do color it from time to time which damages my hair. The mask would be an awesome thing to use! I'm most looking forward to trying out the shampoo. I look forward to trying the conditioning mask. i think i am most going to enjoy the shampoo. The B.T.X. Mask looks fantastic! My daughter's hair is very damaged & this would provide some much needed moisture to soak in! I would say the conditioning mask. The reconstructive conditioning mask sounds like a fantastic treat for my hair! I am most looking forward to trying out the mask! I am looking forward to trying the reconstructive conditioning mask. I am looking the most forward to the hair mask! I need it so bad for my hair. I would love to try the shampoo and conditioner the most! It sounds great!